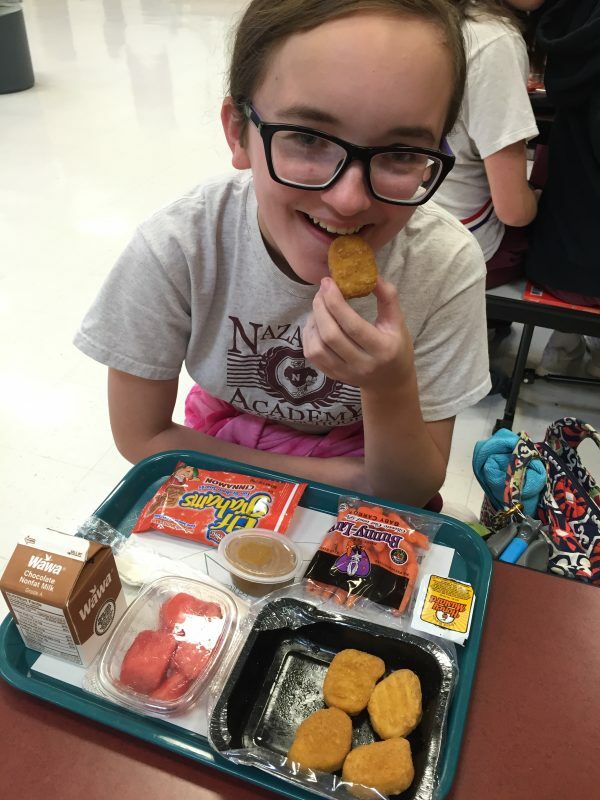 Gathering feedback and continually updating our menus helps us to better serve thousands of students who participate in our school breakfast and lunch programs. 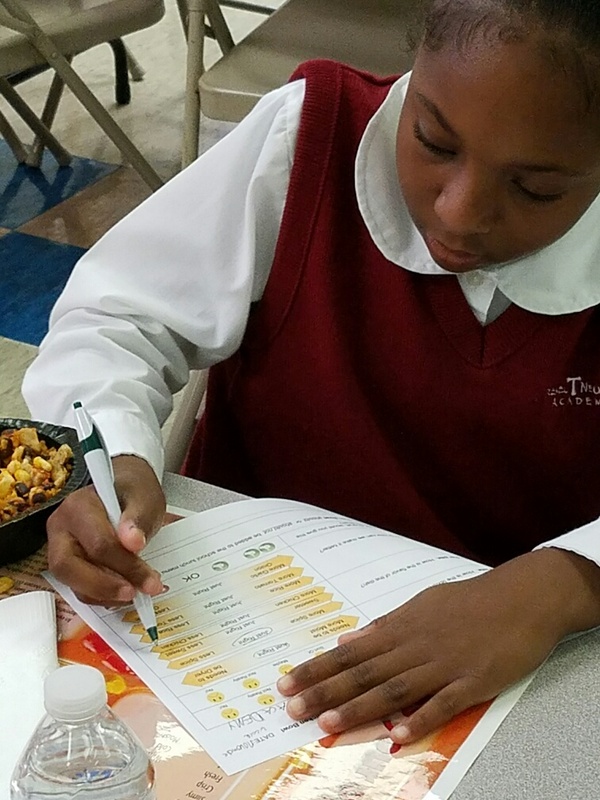 Before we design our school breakfast and lunch menus, we rely on student taste tests to determine which healthy foods will be most popular with children. 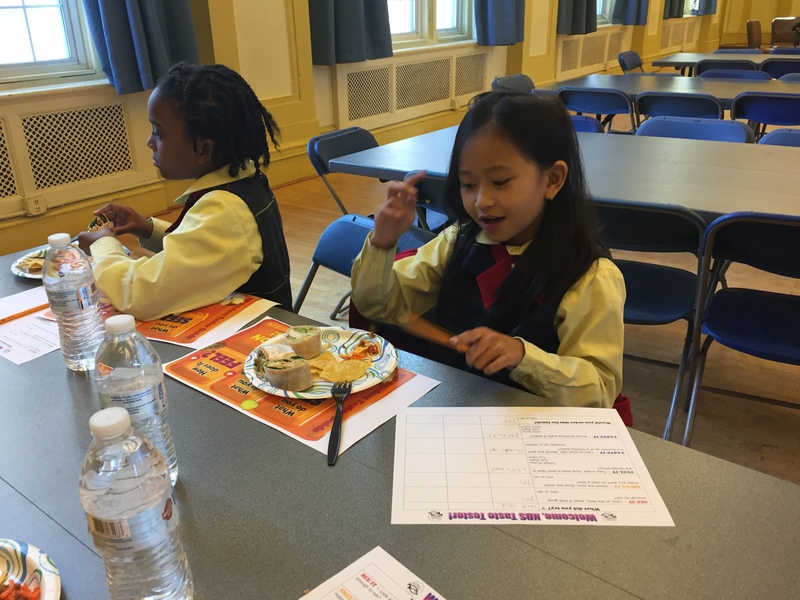 This fall, the fourth graders at Drexel Neumann Academy participated in a hot lunch taste test. Students used all five senses to share their opinions on a chipotle chicken bowl. Students in the third and fourth grades at St. Francis de Sales School tasted some potential new entrées from our cold lunch menu, including a chicken fajita wrap, a cheeseburger wrap, and taco salad. To evaluate our current menu offerings, we conduct regular menu feedback surveys for the school breakfast, school lunch, and summer meals programs. Staff at our schools and summer sites are in a good position to describe and compare students’ responses to different foods. This year, in addition to the oranges, plums, pears, and local apples that students regularly see on the serving line, we are excited to offer students new varieties of freshly-cut fruit and vegetables. Students have enjoyed honeydew and watermelon so far, and they can look forward to fresh green pepper strips and cantaloupe on December 15 and pear slices on January 12.